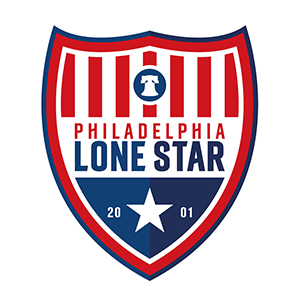 Stars Clinch 2019 Lamar Hunt U.S. Open Cup Berth | Philadelphia Lone Star F.C. The Stars are one of the 14 National Premier Soccer League (NPSL) clubs to qualify for this prestigious cup competition in the United States which began in 1914. The Stars had a phenomenal season in the NPSL last year, finishing as regular season runners-up in the Keystone Conference with an 8-2-0 (W-L-D) record and qualifying for the conference playoffs where they lost in the semi-finals in penalties. The Stars were also ranked sixth nationally amongst the 98 NPSL clubs during the regular season. The Stars will join 31 other amateur squads (clubs from the NPSL, USL League Two, those advancing from the local qualifiers, and the 2018 USASA National Amateur Cup champion Bavarian SC) and six eligible clubs of the newly-sanctioned Division III professional circuit, USL League One in First Round action on Tuesday or Wednesday, May 7th or May 8th. The Stars made their first appearance in the U.S. Open Cup in 2017, losing 3-1 away to the Ocean City Nor’easters in the first round. The 2019 U.S. Open Cup winner will earn $300,000 in prize money, a berth in the 2020 CONCACAF Champions League and have its name engraved on the Dewar Challenge Trophy – one of the oldest nationally-contested trophies in American team sports – now on display at the National Soccer Hall of Fame in Frisco, Texas. The Houston Dynamo is the defending Open Cup champion, having earned the club’s first tournament title thanks to a 3-0 victory against the Philadelphia Union on Sept. 26, 2018, at BBVA Compass Stadium in Houston. In its 106th year, the Lamar Hunt U.S. Open Cup – U.S. Soccer’s National Championship – has crowned a champion annually since 1914. The history-filled tournament is conducted on a single-game, knockout basis and open to all professional and amateur teams affiliated with U.S. Soccer. In 1999, the competition was renamed to honor United States soccer pioneer Lamar Hunt.